This Real Time GSM/GPRP/GPS Tracker is incredibly versatile and useful for a number of situations. 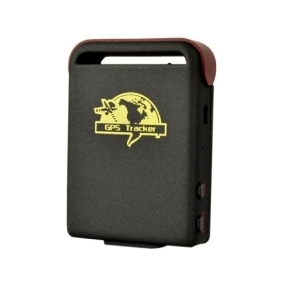 GPS Vehicle Tracking Real Time GSM/GPRP/GPS Tracker gives real time coordinates to within 5m. E-lock, geo-fence, over-speed limits and auto-tracking are just some of the great features of this device. The GPS Vehicle Tracking Real Time GSM/GPRP/GPS Tracker keeps in touch with the user through SMS and reports specific events as designated by the user. This device is perfect to keep track of pets, children, suitcases and luggage, rental cars and countless other things. Based on GSM/GPRS(850/900/1800/1900MHZ)network and GPS satellite positioning system to track the far-way object conveniently by short message, internet or PDA. * Easy to find the position: No need to build special platform, checking directly by short message, internet, PDA. So it can take down the cost for the server and the customers. * It also supports other kinds of platform to track. * With the antenna and battery inside, easy to carry on. * Work on real-time tracking: to track the position by the lantitude,longitude on some digital maps. * If the object enters the park underground or some other places with no signals, it will report to you the last position tracked. * Auto-tracking: set up an interval and the times, it will report you the position information in that interval and the times. * Adding/cancelling the authorized numbers. * SOS and monitoring functions. * Geo-fence. It will alert if the tracker goes out the area set up. * E-lock: It will send SMS to the authorized numbers if it is dismounted. It will be on if the tracker stops. * Overspeed limit: will send SMS to the authorized numbers if the object goes across the speed set up before. * The monitoring for kids,old persons,disabled and pets. * The protection for the businessmen. * Management for the staff outside.